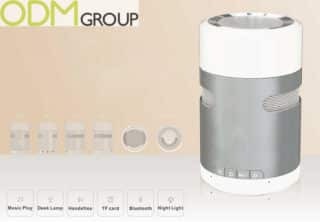 ODM designs and manufactures premium quality unique promotional products/gifts for Chinese and global markets. Our strategy is to ensure we provide high quality unique promotional products to our corporate clients. Unique promotional gifts can take your business to the next level whilst they also represent your corporate identity. Promo items can push your brand into new markets with new customers. Our Mindsparkz team provides high quality design and work closely with our team of merchandisers to combine low cost sourcing with excellent manufacturing solutions. 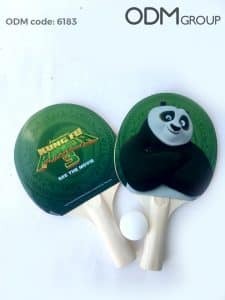 Our unique promotional products are quality checked to maintain high standards. We visit factories to ensure our promotional products and gifts are of the finest quality. We expect your desired unique promotional gifts to arrive as you requested. Representing your corporate identity via our unique promo items is important to us here at ODM. Are you searching for unique promotional gifts that enhance your brand perception and create a favourable image for your company in the market? Contact us with your details and we will answer all your queries swiftly. Creative graphic and product designers are ready spark great ideas for your promo items. Our unique promotional product ideas consultants are ready to assist you with process. 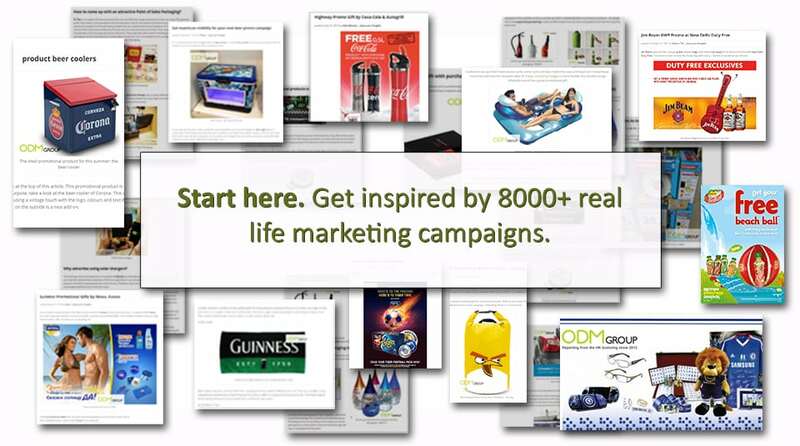 With over 8,000 case studies from around the world on our blog, we know what works in the world of marketing. You can view many of the unique promotional gifts we have made for our corporate clients previously. Brand awareness can increase tenfold with ODM designed promo items and gifts. We have put together some of our favourite unique promotional products below. Our team of in-house designers can also create custom promotional products for your business. If you would like to discuss how we can help your business please get in touch here.. To see more of our products don't forget to visit our blog.. This toy was specially developed by our in-house design team Mindsparkz as a unique Chinese new year gift. 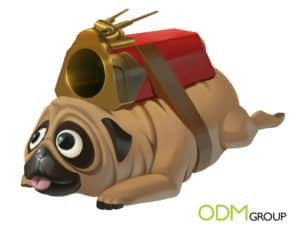 We wanted to celebrate the year of the Dog with a strong product that would appeal to wide audiences. 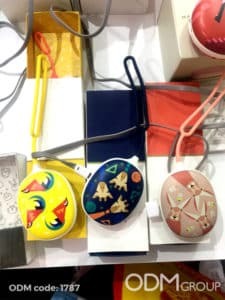 Get in touch to talk to us about how we can work with you to design unique gifts. These new promotional drinking cups with snack trays are the ultimate marketing merchandise! 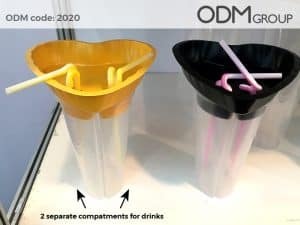 What caught our attention at trade show this season is the unique design of drinking cup combined together with snack trays, which makes it 2-in-1 item. Ingenious design prevents food and drinks from spilling- ideal for food cart businesses, sports promotions, movie marketing and more! Contact us to talk about how we can design promotional products for your company. Mugs and cups are very good promo products for a vast range of companies, from food to drinks and from logistic to finance. Indeed, they are always welcomed and easily customizable. However we also believe that the mug promo market is now saturated. 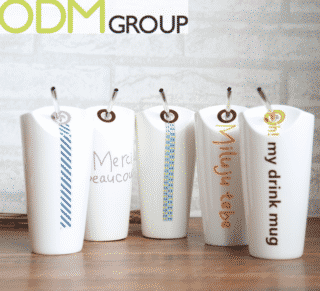 Why not adding a personal touch with these ideas to your next promo cup then? We work with businesses to design unique corporate gifts. Contact us to see how we can help your business. If you’re looking for a practical and unique promotional products, consider giving away a custom power bank gift set. With so many designs and colors to choose from, power banks can offer huge branding possibilities. Power banks are one of our most popular products we design for clients, contact us to find out how we can do this for you! As everyone knows, winter is the best season to deliver promotional messages and present creativity! This time round, we are featuring some custom hand warmers which can be classified as a practical promotional gift especially during winter season. Battery powered warmers are a really nice product to give fans at a sports event when it’s cold outside. People will love it! They are easily customisable, in a way that it will fit perfectly with your brand spirit. For more information on this product contact us. Nearly everyone loves to hear music, if you are going running or just hanging out and enjoying your favorite songs. 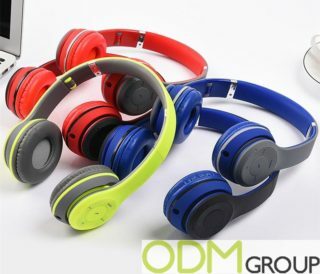 This is why Branded Headphones are at the state of the art and are the most common used products in the technical market to hear music on, which will gain you a lot of attention and sales through such a product.